Boasting silver coated multi-gauge, multi-strand 99.99% OFC copper on the inside and 110% aluminum Mylar shielding on the outside, this cable brings remarkable value to your Hi-Fi system. Measuring at less than 30pf of capacitance and under 0.009 ohms per foot, this cable is constructed to reveal micro dynamics and accurately portray upper-mid frequencies. 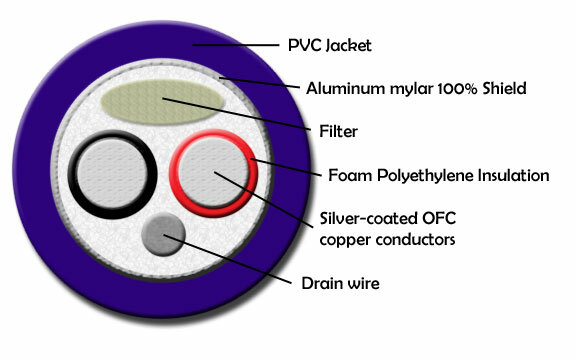 Available in standard lengths up to 9.0 meters and even longer upon request, we will custom build the cable to best fit your installation.